Planys Technologies, India’s first and only Original Equipment Manufacturer (OEM) of compact underwater robots (Remotely Operated Vehicles or ROVs) capable of Non-Destructive Testing (NDT), launched their second indigenously developed ROV ‘Beluga’ on 18 November, 2016. ROV Beluga is the next generation of Planys’ advanced ROVs with more than double the thrust capacity compared to the team’s previous products and an enhanced vision and illumination system. 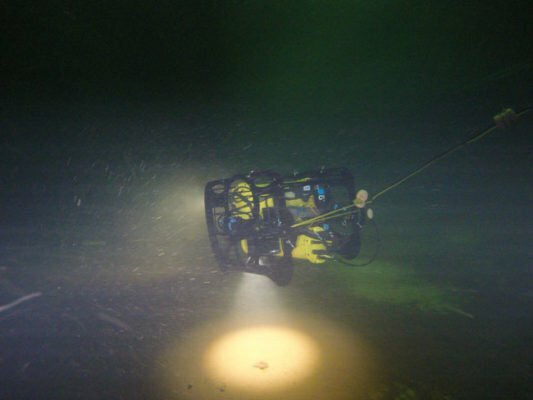 ROV Beluga is a powerful vehicle with the ability to reach 200m depth and go to speeds of up to 4 knots. Apart from visual inspection, ROV Beluga is capable of performing ultrasonic thickness measurements, spot bio-fouling cleaning, cathodic potential (CP) measurements (for ships, offshore installations and other immersed structures) and various acoustic surveys (side-scan survey for seabed mapping, bathymetry and environmental surveys). Despite possessing such advanced features, ROV Beluga is portable, lightweight, versatile and has the ability to mount up to 8 sensors as per client requirements. Beluga continues Planys’ mission to provide portable, cost-effective and customizable inspection solutions for oil and gas, shipping and port sectors. Beluga will be available for services from January 2017. With manual inspections being dictated by the vagaries of sea conditions, current and wave actions, the accuracy of these inspections are greatly compromised. These factors are not a constraint when using Planys ROVs. The Planys inspection solution will prove to be faster, more efficient and accurate for carrying out such inspections. 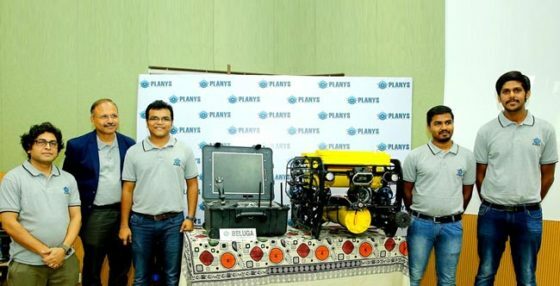 Planys has won accolades from customers who have already sought services of their first indigenously manufactured ROV Mike. L&T Hydrocarbon Engineering Ltd’s MFF Team endorses the benefit of the recently conducted Planys inspection. The team was highly appreciative of how Planys was able to rapidly customize their solution onsite and provide an excellent software report.